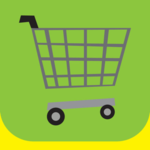 Going Shopping Social Story About Good Store Behavior For Children is helpful for children with autism, down syndrome or developmental delays that may struggle with social skills and behavior during grocery shopping trips. This app is a tool to help reduce these behaviors. Children with special needs often need more direct and visual instruction of what they can and cannot do or have. Teaching good shopping behaviors to any child may be easier and less stressful when visual supports, like social stories are used. This social story explains accurate information and ensures that your child will know what to expect when going into a store. Watch the video below to see our full review of Going Shopping Social Story and how to use the app.